Its design - captivating and impressive, its profile - timeless. Our inspiration for the Core 2 was optimised high-arc technology combined with classy 2-line geometry. It is a design icon, enhanced by the features you would expect of the Swing brand, featuring a sporty design with a racy appearance, frame technology and 3D-shaping. The Core 2 sets new standards for the EN-D category of glider with its unique technology concept and sensational design. Performance-oriented competition pilots certainly have something to get excited about! The new Core 2 signifies everything that you can expect from a Swing glider. It is a breath-taking competition glider with its origins in the previous open class, but with a unique character. The new EN-D version of the now legendary Stratus family combines outstanding flight dynamics and a breath-taking puristic design with maximum performance. Core 2 is the world's first pure 2-liner with LTF-D certification – tested without folding lines! Its appearance is extraordinarily dynamic. Design elements specific to the Core 2 and material contrasts serve to underline this impression. The elongated surface of the Core 2 is impressive in the sky and gives more than just a hint of the performance potential of this newly conceived glider. When the design team began work on the Core 2, it had just one condition: it should incorporate the latest developments into a concept which would culminate in a competition glider with maximum performance, and which would receive certification. 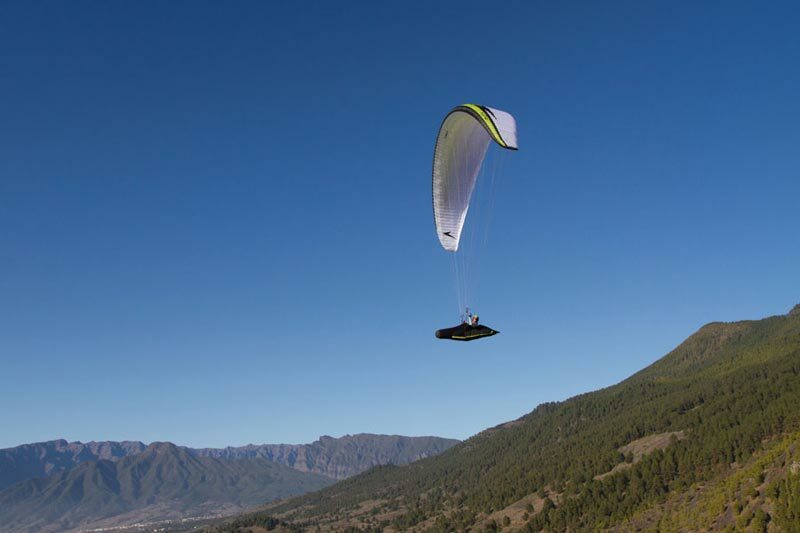 The result is impressive: an EN-D glider with technology from competition paragliding. Eighteen months of testing mean that the Core 2 had the longest development period in the company's history. The reason for this extensive testing is that the Core 2 implements a completely new structure. The highlights of this new glider are the various rigid components and an innovative attachment system, which is generally referred to as "2 line attachment". The risers and brake handles form the interface between the pilot and the glider. The multi-grip brake handles allow precise control, support a consistently direct feel when steering and improve feedback to the pilot. 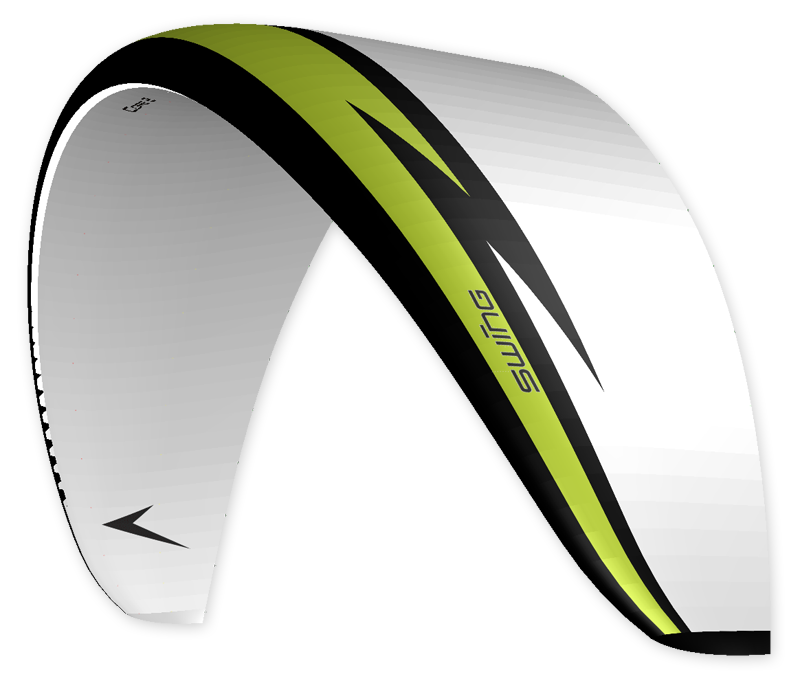 The hangpoint designed specifically for the 2-liner allows impressive acceleration power and final speed. The setting of the canopy and the wing-tip is controlled through three stages, in order to achieve the maximum performance in each speed range. A double A-attachment supports the outstanding pitch behaviour. 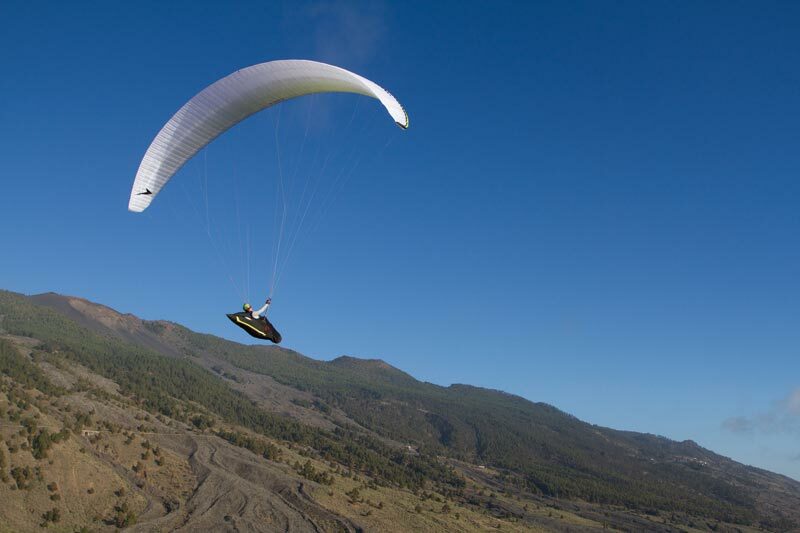 The result of this is a whole new dimension in paragliding. "Performance pilots with extensive flying experience of at least 75-100 flying hours per annum, who wish to achieve the highest level of performance, e.g. in cross-country flying. The Core 2 is suitable for OLC and World Cup pilots who have already acquired experience flying 2-line gliders and who are familiar with the characteristics and extreme flight manoeuvres for this class. If pilots wish to fly the Core 2 but do not have a sufficient level of experience with 2-line gliders, we recommend them to undertake appropriate training. Paragliders with demanding flight characteristics and potentially violent reactions to turbulence and pilot errors. Return to normal flight requires precise pilot input. For pilots who have considerable experience in recovery techniques, who fly very actively, who have acquired a significant level of experience in turbulent conditions and who accept the implications of flying with such a paraglider."